Android Q is now available in developer preview and, one must say, it hasn’t been a while since we enjoyed Android Pie. There are a lot of cool features in Google’s running list for Android Q, but we will only cover the confirmed ones and don’t require major tweaks. Google has finally addressed the Android enthusiasts complain regarding the OS’ sharing functionality to be slow and crowded. Android Q features a better sharing menu which is meant to be, well, opposite than the complaint. The new menu is expected to be faster and does a better job of recommending contacts and apps for sharing. Apparently, this is only achievable if third-party developers also update their apps to take advantage of this change. Although accessing some of the settings options is already quite easy from previous Android versions such as the Wi-Fi, Bluetooth, and other connectivity options, Google is still making ways to make it even better. The new pop-up window can be summoned by apps depending on the need for the functionality. For instance, launching a browser when the phone is on airplane mode will immediately ask the user to activate Wi-Fi, then summon the settings panel. Google confirmed that the new format will let third-party apps tweak depth data to create “specialized blurs and bokeh options.” However, it is still dependent on third-party developers if they embrace this new, Google-pushed standard. The Google Files App is quite a disappointment, it didn’t even have a shortcut in the app drawer. Luckily, Google is making it right this time on Android Q. Not only does the Files App now have a shortcut, but it also features a universal search bar, quick access to other apps, and overall a revised UI. For now, these are the only changes Google confirmed but there could be more tweaks before the final release. 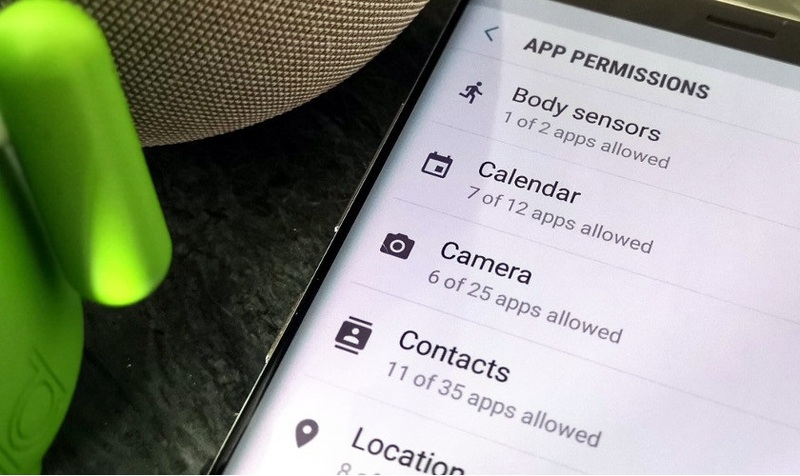 Google has done a major tweak in apps permission. Previously, apps simply running on the background, although not in active use, can still access other apps as long as the permission is once granted. This time, apps running on the background can now be halted in accessing other permitted apps if not actively being used. This definitely addressed some privacy-related concerns. Android adapts Xiaomi and Huawei’s technology to be able to share Wi-Fi via the use of QR Codes. The feature is easy to use. Simply tap on your Wi-Fi connection, hit the share button, then authenticate with your phone’s password or a fingerprint. Thereafter, you should see a QR code which your friend can scan to gain access. This is nothing new to third-party brands, but having it built right out on Android is still cool.